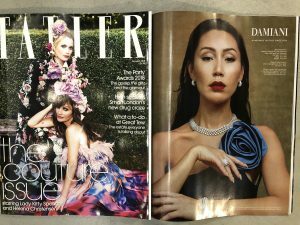 Our swimsuit Dina looks stunning in December issue of the British Tatler. Amazing collaboration with Damiani & Lavishly Appointed. We are so proud of our luxury couture model.